When an “official” Android 2.2 build with Sense leaked for the Droid Incredible last night, we jumped at the opportunity to check it out. Early rumors from HTC suggested this build wouldn’t be ready until X-mas, so this came as quite a nice surprise and could mean we’ll see a major Froyo onslaught start next week for our entire Droid family. First Impressions: The phone is fast, but it has always been fast. This isn’t the Eris here people; it’s always had a 1.0GHz processor and specs to compete with the best of them. Once you start seeing phones performing at this level, it becomes tough for your eye to really notice much of a difference. 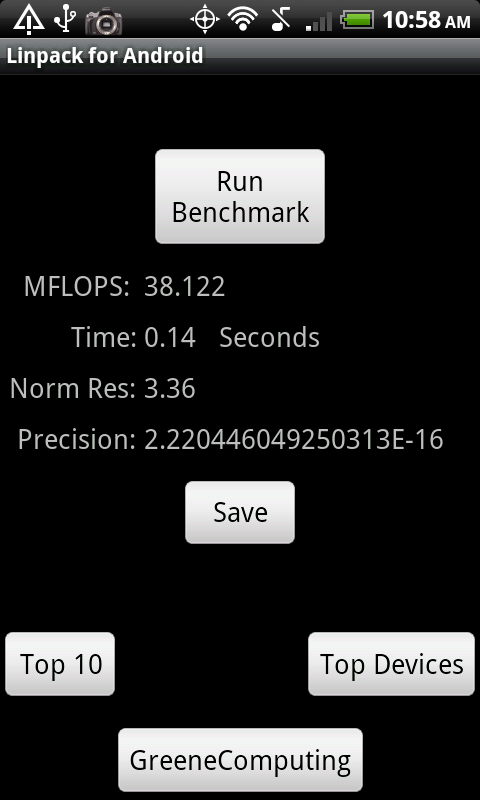 The benchmarks on the other hand show quite the improvement. Check out the rest including a full gallery after the jump! SenseUI: As far as I can tell, you cannot turn off Sense like you can with the EVO. If you check under Applications, clear out the defaults on HTC Sense and hit the home key, you are not prompted to choose a different launcher. This is a major disappointment to those not all that fond of HTC’s custom skin. Other than that Sense runs exactly as it used to and I haven’t noticed any major differences just yet. 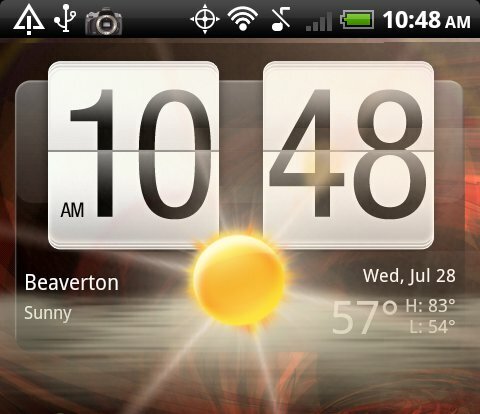 Overall: You have to give it up to HTC for pumping out a version with Sense included this fast. In the past, they have been, to put it politely, a little behind other manufacturers when it comes to updating software on their devices. However, like I said in my first impressions section, you won’t notice a huge difference in performance as the phone already performed like one of the top dogs. You will be impressed by Froyo if you have not already experienced it though. While some of the changes to 2.2 seem minor, they make the overall experience of Android that much more enjoyable. You will continue to be obsessed with your DI even after this update officially rolls out. Any questions on what to expect? Anything you want us to verify or check out?